Summary: Ninety-five days, and then I'll be safe. I wonder whether the procedure will hurt. I want to get it over with. It's hard to be patient. It's hard not to be afraid while I'm still uncured, though so far the deliria hasn't touched me yet. My Review: I haven’t been able to get this book out of my mind for the last couple of days. It’s no secret (or it shouldn’t be by now) that I’m a fan of dystopian fiction and this one snagged my attention from the few teasers that I had read about it. Lena can’t wait for the surgery will make her immune to the world’s deadliest disease, amor deliria nervosa, more commonly known as love. She wants to be happy again -- free from the constant threat of contamination and able to forget the pain she feels from her mother’s suicide. The cure is her chance to start over and she is counting the days until her procedure. That is, until she meets Alex and learns the truth. Her world is not as perfect as it seems and the “cure” is not a gift. Can I just step outside my reviewing persona for a second? You know, the one where I try to sound all uber-smart and professional. I can? Oh, thank heavens. Sometimes that persona is ex-haust-ing. I really enjoyed this book. It was fun. It was romantic. It was interesting. I recommend it if you are a fan of light YA dystopian fiction, especially if you like some spicy-but-not-too-spicy romance thrown in. While Delirium does fall prey to the occasional cliché description of love (e.g. heat, floating, explosions of color), for the most part, I was too busy reading to roll my eyes. Lauren Oliver has written a book that is both emotionally charged, exhilarating, and captures the overwhelming intensity of first love. Lena’s story held my attention the entire time and occasionally made my heart race. I finally had to make myself put it down around 3 AM so I wasn’t a complete ogre the next day. To be clear, this book is not Fahrenheit 451 or The Giver. Few books are. 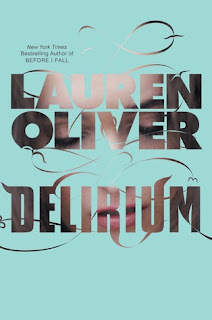 Delirium has been compared to Matched, another recently released (and reviewed) young adult novel with a romantic theme, but is significantly more exciting and sophisticated. Both books focus on the romantic element more than any other part of the plot, but because Delirium treats love as a disease, it skillfully weaves together the lighter subject matter and the more horrific elements of society without taking away from either part of the experience. One of my favorite features of the book was the the statements from experts on the deliria, and excerpts from The Book of Shhh, The Comprehensive Compilation of Dangerous Words and Ideas, and other sources, that headed each chapter. These little tidbits, while completely fictional, were very interesting and gave more insight into the mentality of the Lena's world and added depth to the story. I was also glad that it took Lena a while to come to terms with her feelings and make certain decisions – that she didn’t chuck it all for love at the very first opportunity (ahem…Twilight). For some reason, that made her struggle, and the entire story, seem more real. Also, Alex only takes his shirt off in an actual emergency and, thankfully, Lena does not wax poetic about his abs (though it’s totally implied) which for YA novels, these days has got to be some kind of record. Delirium ends at a frantic pace and with a gutsy finish that I loved, but not everyone will appreciate. Normally I check books out at the library, but I’m glad that I purchased this one and will not be selling it to any used bookstores. I will definitely be reading the sequel, Pandemonium, when it is released. For the sensitive reader: A few widely-spread cases of profanity (including a couple f-words that came out of nowhere and in rapid succession) and a vaguely sexual scene where certain items of clothing come off. Sum it up: A pure pleasure read. Thank you so much for this review! There are just so many on the internet expressing how this book was too slow and fell short of the masterpiece that is 'Matched'. I'll admit that I've been cranky the last few days and my head might not be in the right place for a novel of any kind, but I'm having a very hard time getting into 'Matched' after reading 'Delirium'. There is so much hype surrounding it and I've read so many people claim that it's much, much better than Lauren Oliver's second novel... but I just don't see it. 'Delirium' is so good that I even bought the audiobook because I really wanted to enjoy the story again and again. I really hope that the movie will inspire people of all ages to pick up the book and give it a chance. b) WHAT?! There's going to be a movie?! Yay! This is on my TBR list!! 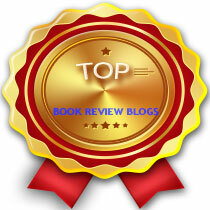 I've read so many good reviews that I know when I sit down to it, I won't be getting up until I'm done! 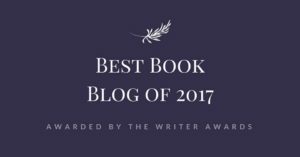 Thanks for this review (which I just found from your giveaway post on Book Blogs!) Now following! Just finished this book yesterday after a 2 day reading marathon! This one is difficult to put down as the anticipation begins to heighten from the first page. I loved the characters and am excited to see where the next book will take them.